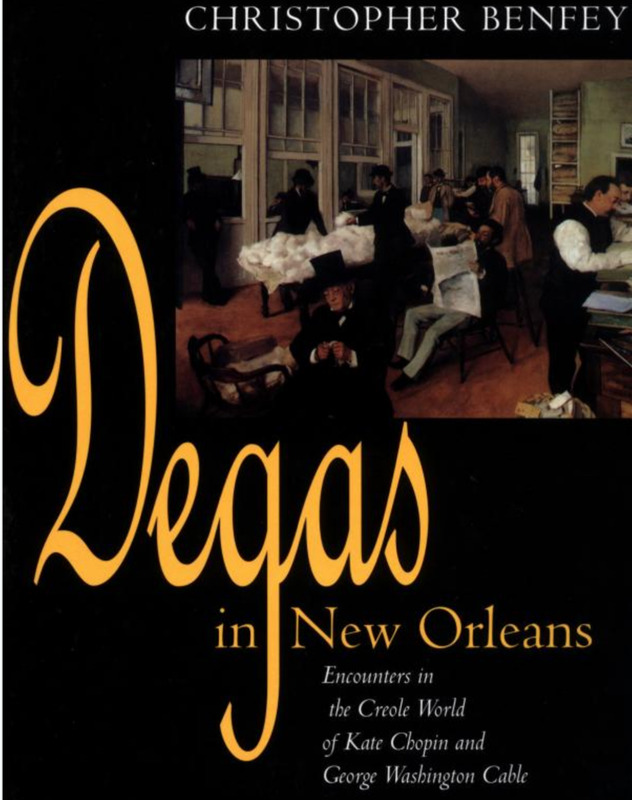 If you had the opportunity to visit the outstanding Degas exhibition at MFAH earlier this year, you may also enjoy Christopher Benfey’s book, Degas in New Orleans. Benfey’s book covers a seminal time in the artist’s life not often mentioned in standard biographies. In the fall of 1872, Degas spent time in New Orleans with his mother’s family, the Mussons (while there, painting the scene from the Cotton Exchange included in the exhibit). The book describes the influence of New Orleans in general as well as of writers Kate Chopin and George Washington Cable. 1872 found New Orleans in the Reconstruction era, - a time of great change in a city still recovering from the economic, physical, political and social ravages of Civil War.